I’ve Been to the Edge and Back! This photo was taken by me in Melbourne, Australia from a place called The Edge. 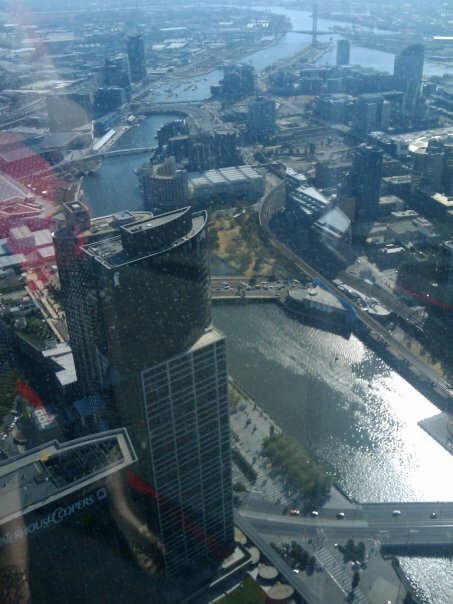 What’s interesting to me, I googled The Edge Melbourne Australia and came up with my forgotten old blog post about my visit. More on that post at the end of this. I want to share my journey from Depression to Joy. Some of my readers know my personal story and how I choose life instead of driving off Ortega Mountain. The still, small voice told me I could turn my life in a new direction, so I did. I turned my Mustang convertible to follow the road. I made new memories and had fun. Just when I thought I had everything figured out, I got slammed again. Has this ever happened to you? How many times have you reinvented yourself? I reconnected with old friends and started going to events again. Helping others made me happy! More friends began calling me Joy. I faked Joy until I became JOY! I’m uniquely qualified to help others because of the tribulations I had. I’m helping friends and entrepreneurs with free publicity. All my hacked websites are being rebuilt for Joint Publicity and Content Marketing. Twitter was grief therapy for me. “Tweeting my life away” means I can promote with influence today. Tag your tweet with #JOYexpress and I will follow and retweet you. I hope you never endure the pain I felt. If you ever do, try singing, dancing, anything to get yourself laughing. Ask God for your direction to a happy life. And, it may even be time for you to get over yourself and go help others. How can I help you? Please answer below.